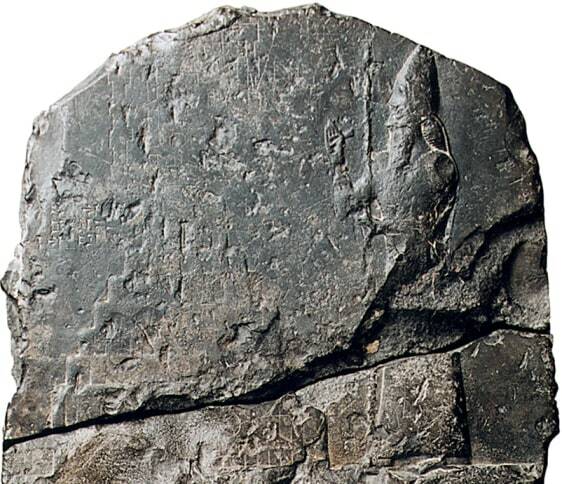 This portion of a stele depicts King Nebuchadnezzar II standing beside a ziggurat he built at Babylon, a tower dedicated to the god Marduk. It is one of only four known depictions of Nebuchadnezzar known to exist, and the best preserved. The ziggurat, visible as a step pattern on the left side of the stele, may serve as a parallel to the biblical "Tower of Babel."